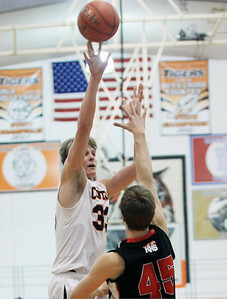 Sarah Nader - snader@shawmedia.com Crystal Lake Central's Jake Vanscoyoc (right) shoots over Huntley's TJ Adams during the second quarter of Friday's game in Crystal Lake. 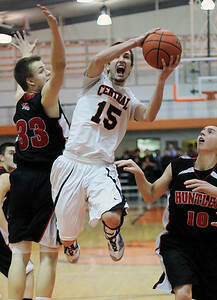 Crystal Lake Central won, 54-46. Sarah Nader - snader@shawmedia.com Crystal Lake Central's David Panicko makes a shot during Friday's game against Huntley in Crystal Lake. 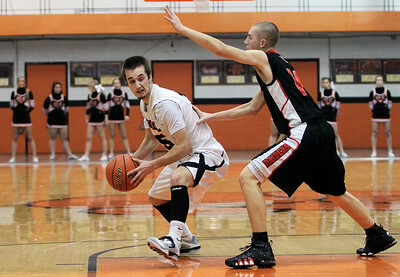 Crystal Lake Central won, 54-46. Sarah Nader - snader@shawmedia.com Crystal Lake Central's Brad Knoeppel makes a shot during Friday's game against Huntley in Crystal Lake. 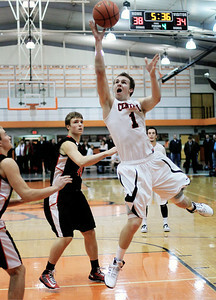 Crystal Lake Central won, 54-46. 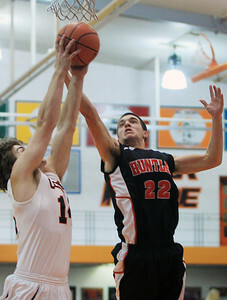 Sarah Nader - snader@shawmedia.com Crystal Lake Central's Corban Murphy makes a shot during the fourth quarter of Friday's game against Huntley in Crystal Lake on December 14, 2012. Sarah Nader - snader@shawmedia.com Crystal Lake Central's Brad Knoeppel brings the ball down court during Friday's game against Huntley in Crystal Lake. 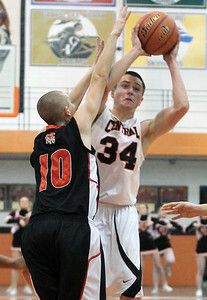 Crystal Lake Central won, 54-46. 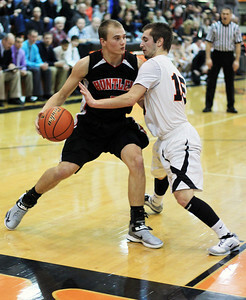 Sarah Nader - snader@shawmedia.com Crystal Lake Central's Brad Knoeppel (right) guards Huntley's Blake Jacobs during the third quarter of Friday's game in Crystal Lake on December 14, 2012. Sarah Nader - snader@shawmedia.com Crystal Lake Central's DJ Thomas (left) and Huntley's Jake Wagner both jump for the rebound during the fourth quarter of Friday's game in Crystal Lake on December 14, 2012.